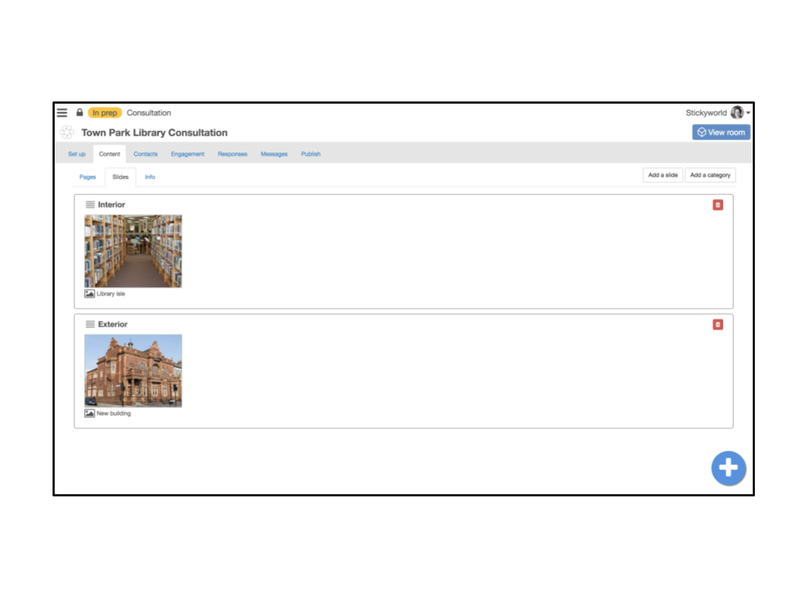 Release 1.30 represents a significant advance in the room application in Stickyworld, with many improvements for the organiser, visitor and participant. The release considers the General Data Protection Regulation (GDPR) which comes into force on May 25th, and we've changed how Stickyworld stores, presents and processes a contact's personal information to better align with the intent and detail of this regulation. 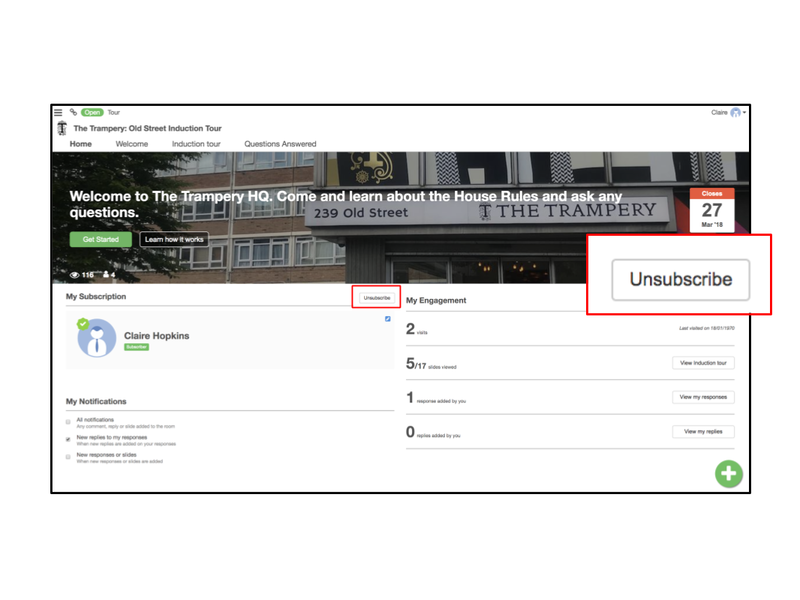 Fundamentally we've introduced a clearer subscribe/ unsubscribe model whilst also taking the opportunity to address several customer requests for features. This blog post explains the new features, and our customer support programme will help any organisers use them. To learn more about our approach specifically regarding the GDPR, you can also read our blog about this here. Introduction of a ‘Subscribers’ Page and improved Landing Page. Creation of a modal slide interface. Introduction of the Slides collection page. When visitors respond and register in any room or engagement website they become subscribers to an activity. The new subscriber page now enables them to see their profile, understand their engagement and activity in the room and change their notifications. It's easy for visitors to unsubscribe if they want to. 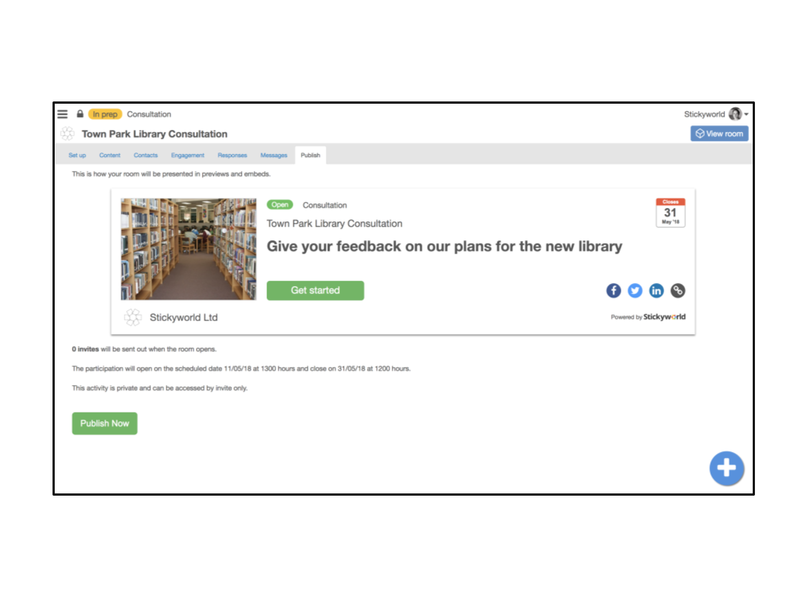 There are also buttons to contact the organisers to ask a question or request for their personal data to be deleted, but the main benefit is that any subscriber can better understand their own engagement, and click through to see slides they have not seen. This is possibly the most visual change of this release. 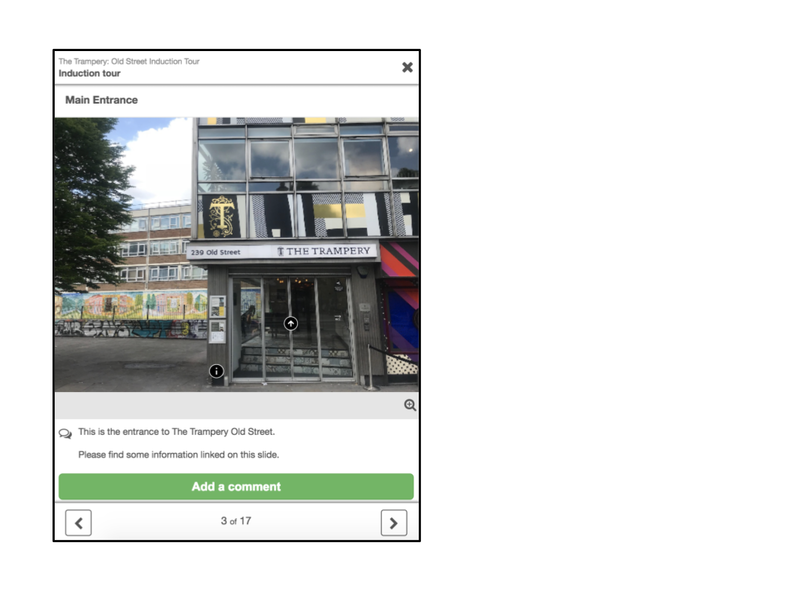 We’ve overhauled how we present slides and the navigation. The new design is an outcome of studies on ease of use on mobile devices. The design is modal, which means we’ve removed the menu navigation which restricted the size of view, and incorporates a fixed navigation footer that works much better on mobile devices and offers fewer choices, enabling the visitor to more easily view the content. To close the slides modal view there is a close button top right. This view collects previews of all the slides and stacks them in a grid, which is ordered by any slide categories that have been applied. Previously this was visible in a gallery, but this page now expands this to show all the slide previews. The previews show the number of visible responses, and also shows to the subscriber which slides they have seen. This filtered view is available from the Subscribers page. 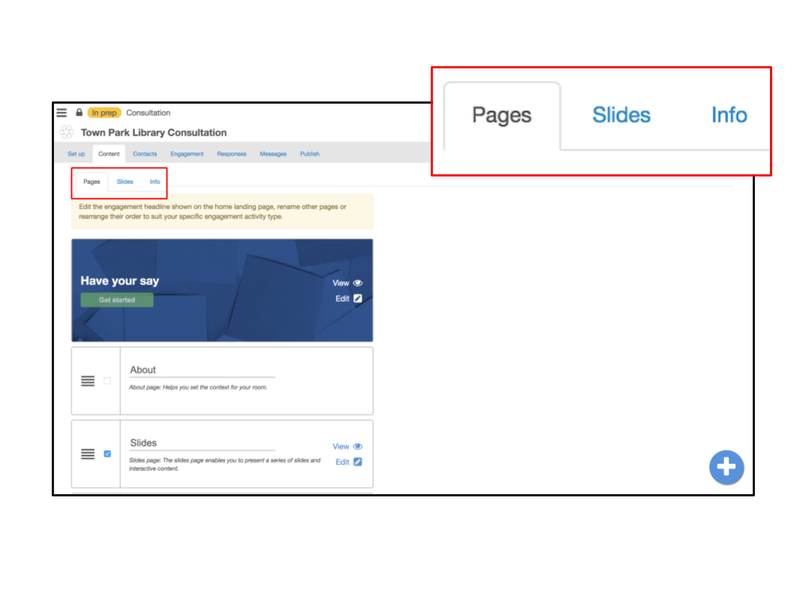 New content tab which combines pages, slides and info notes. New contacts table, and a detailed contacts record page. New dedicated publish page showing the embed. 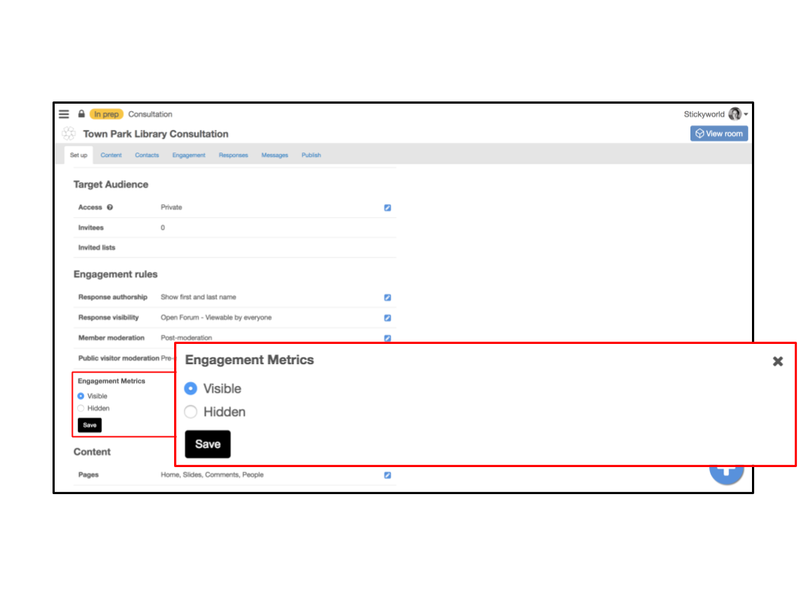 New engagement tab with more engagement data. New responses tab which tabulates responses. We've tidied up the single room creation form, and created a two-stage process. 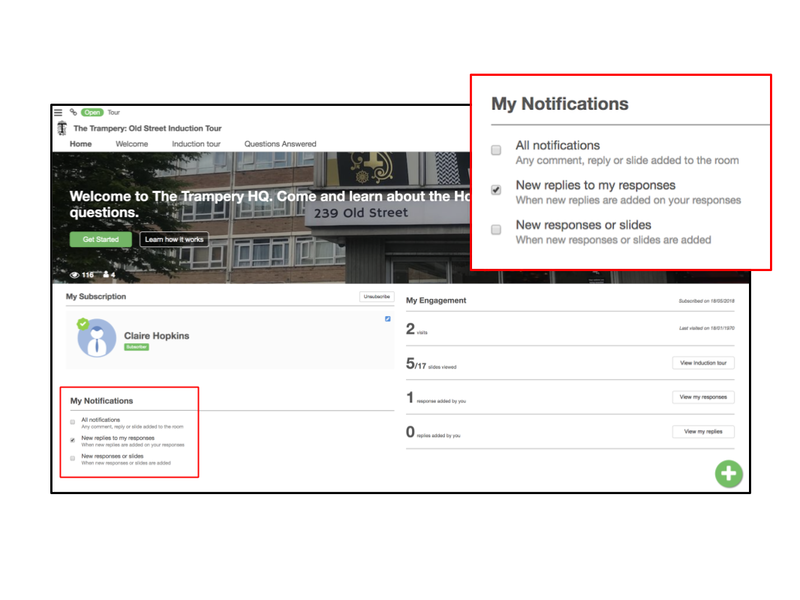 When you submit the form to create your room you will now land in the organiser view of content to carry on preparing your room with a clear engagement headline and slide content. We’ve tidied up the settings in Set up so they are clearer. We’ve added the display authorship settings which are explained below. We’ve also added the choice of showing metrics, so that for engagement activity with private conversations, such as developer conversations, you can now choose to show the metrics. We’ve created a new tab which combines 3 subtabs of different types of content you can prepare. Firstly, the existing pages tab, where the engagement headline is shown. Secondly, we have improved the Slides view with larger slides previews. Thirdly, we’ve added a tab to view and edit all your info notes. We have replaced the former ‘people’ view, which simply displayed large previews of room members. 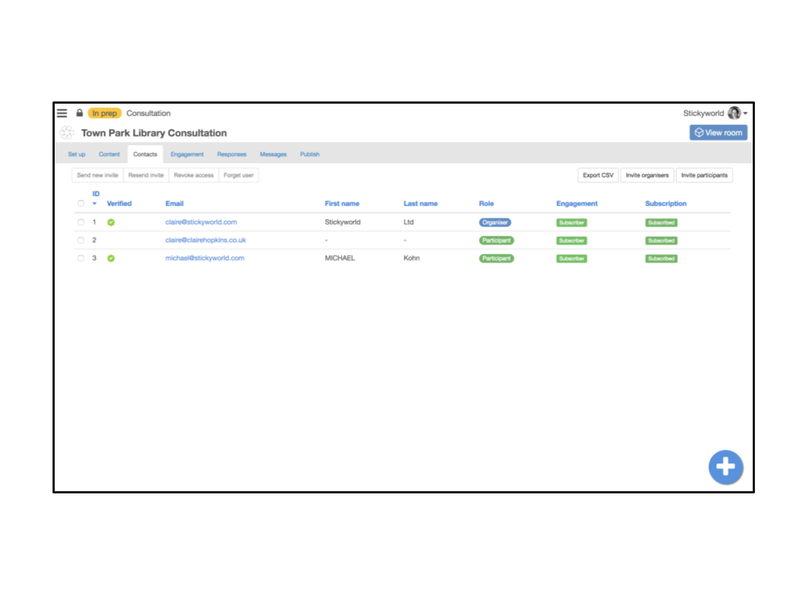 Moving to a subscriber model, we now offer a more useful, searchable and sortable table of contacts. The contacts display all the contacts that are associated with the activity, starting with invited contacts, and then registered contacts when they convert to subscribers and become participants through submitting responses. The table also shows their current engagement status - if they are subscribed, unsubscribed or if the contact has now been forgotten. 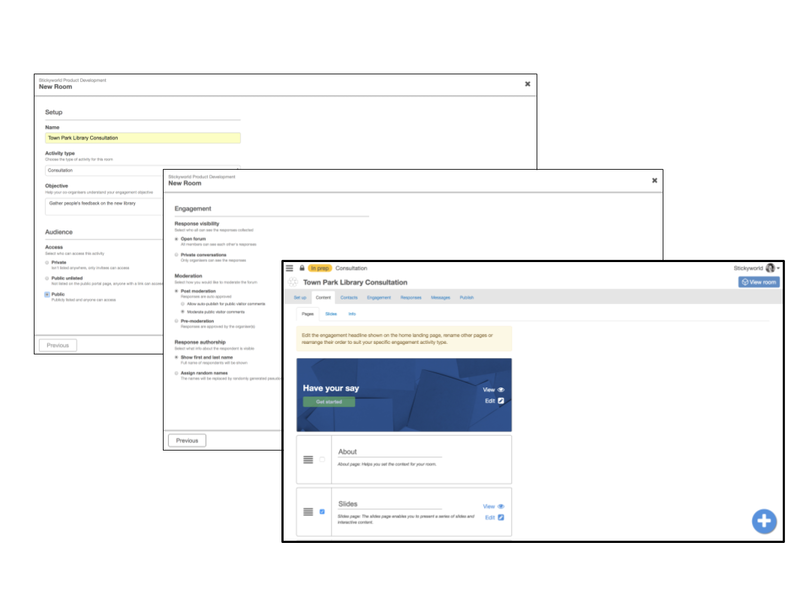 Each contact links to an individual contact record which opens in a modal view. Here you can see their engagement, any personal data, an invite history if invited, and also tools to revoke and re-send. 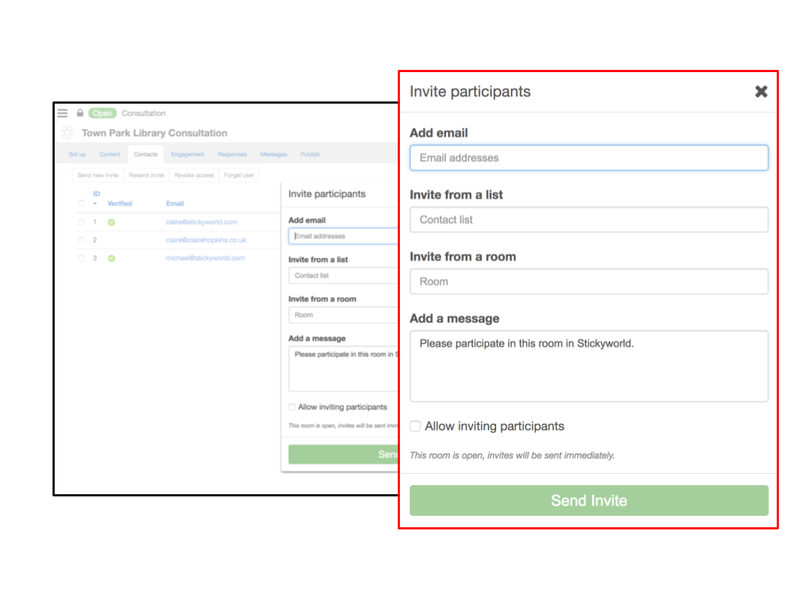 In the previous version 1.29, we listed individual emailed invites in a separate table. Now everything is neatly compiled into a single Contacts view. 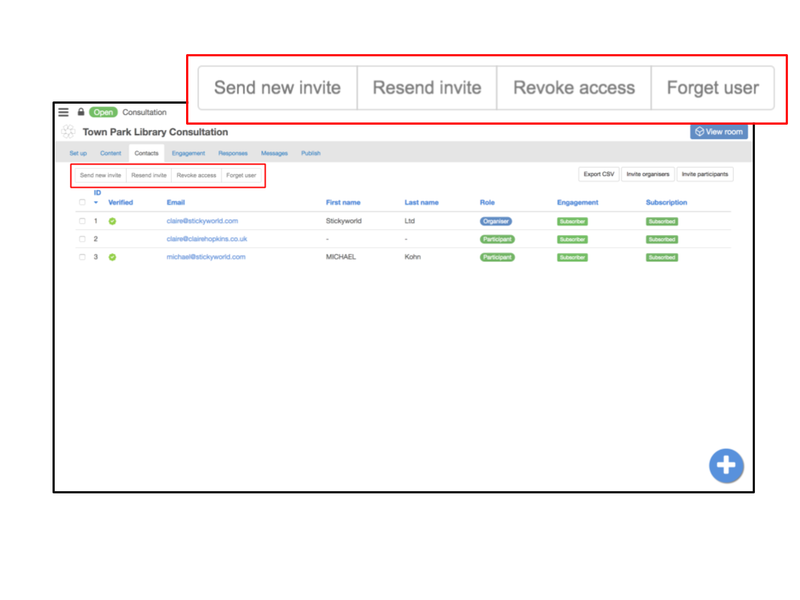 In the preparation stage, you can queue the invites to selected contacts prior to publication. 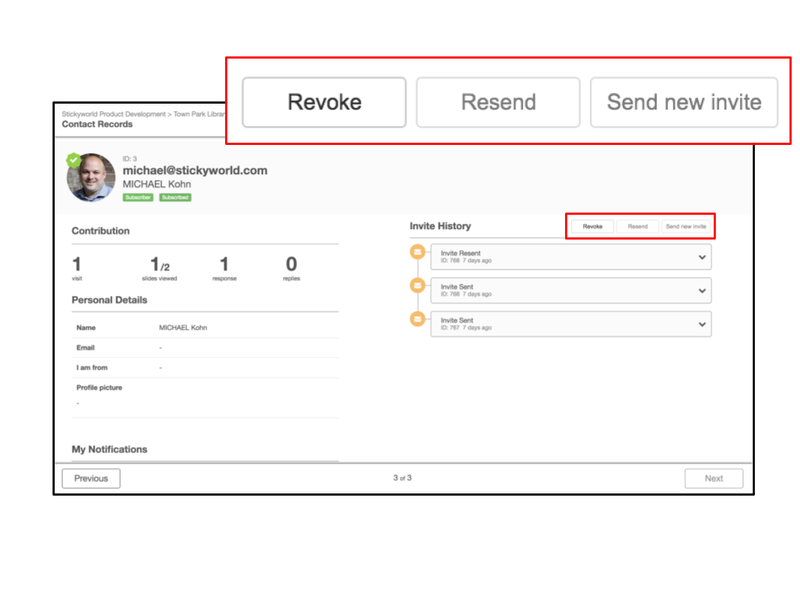 Once the room is published, the Contacts view then also gives you a single place to manage the engagement of contacts, send reminder invites, or create new invites. We hope this single view will be more useful. 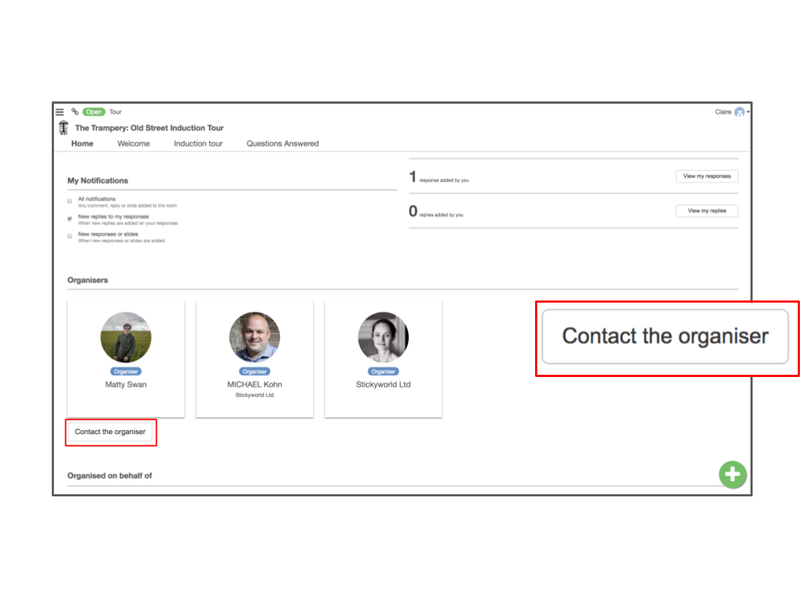 We've also added to the invites interface, so you can now preview the contacts that are stored in shared portal lists, or indeed, you can now import the qualifying contacts from a previous room that you are an organiser of. 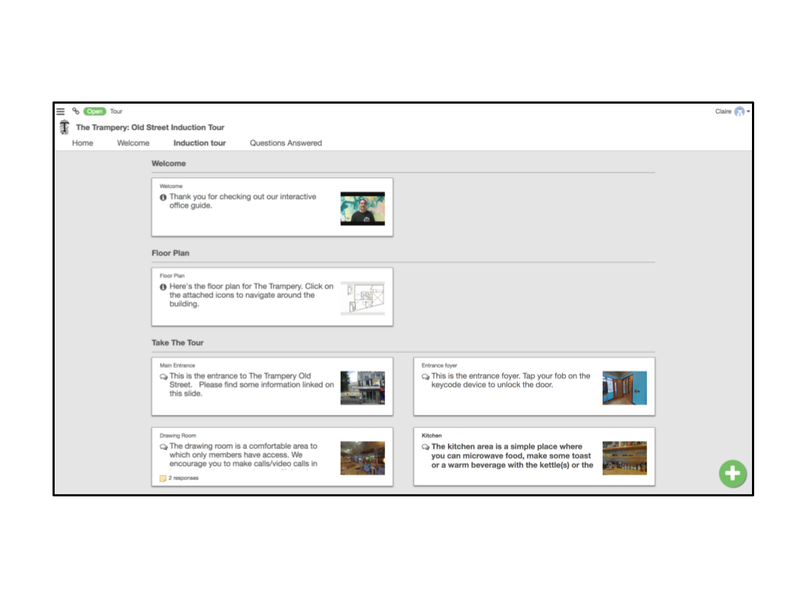 This latter feature means that you can more easily manage multi-room engagement activities, and grow the audience of participants, keeping everyone in the loop. Of course, if contacts have unsubscribed or rejected your previous invite, then you cannot invite them. Once your engagement activity is all set, and you are happy with your content and contacts, it's time to publish. We have removed the long checklist modal page, and simplified this by introducing a publishing tab as the last step in the preparation stage. In this page you will see a room preview so you can view what you are about to publish, its close date, and any scheduling or automation information. We’ve introduced a pop-up at each change of stage to explain the high level actions for that stage. Once the room is created, you see a pop-up explaining the preparation stage. Once published, you will see a pop-up for the open stage. And again when you close the room, the pop-up explains the key actions for that stage. In relation to large scale staff consultations, a common request has been to introduce another level of anonymity or pseudonymity. Whilst any participant can currently submit privately to the organisers, this is not helpful if you are looking to stimulate discussion - the way an open forum can do. 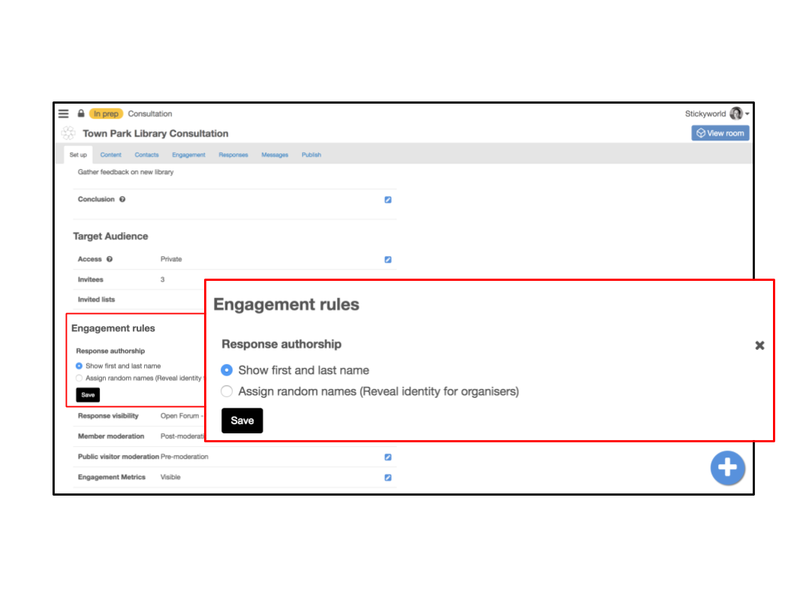 Now organisers can select pseudonyms for authorship display setting in Set up, and the system will automatically assign each subscriber a pseudonym. We hope this helps with internal staff consultations, and we are excited to hear how this changes the dynamic and level of any engagement activity. Please reach out to support for a demo of any of these changes.